This isn’t a review; it is a spiel about our love of films and what not. So expect spoilers, biased opinions and general rants. Easily the best poster, and of course its the one you can’t get. I’m not sure where my love of mysteries started, probably from a childhood (and teenhood, and adulthood) of watching Scooby Doo, nothing major, but a place to start. 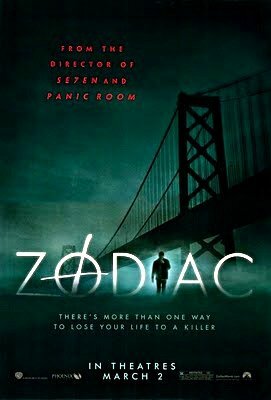 Now, from LA Confidential, to Memories of Murder, it’s hard to think of a mystery film I haven’t seen, (but please don’t try, I hate having to face my lies) but Zodiac is one of, if not, the best. Right out the gate I’ve gotta say, it’s my favorite Fincher film, followed closely by The Social Network and Gone Girl (yes you read that right, neither Se7en nor Fight Club do I consider his best). 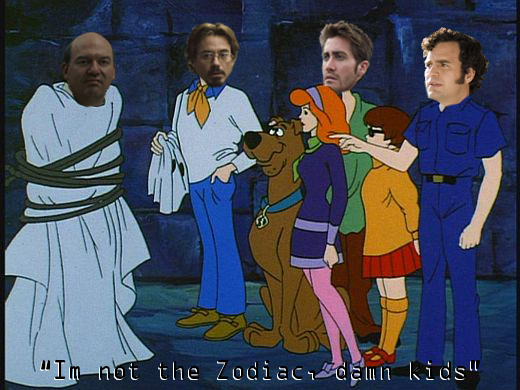 And Zodiac is a near three hour, investigative murder mystery journalism film, where they never catch the killer. And damn it’s riveting. It’s that last bit, about the Zodiac never being caught, being one reason to why I love and find this film so re-watchable (I watch it almost Bi-monthly). As unlike almost every other serial killer flick, when you know who did it, you can never not know, no matter how enjoyable of a film it is, the first watch is usually the best. That’s part of what makes Zodiac special, though it hazards a guess at who the Zodiac was, and follows it through with compelling, even satisfying evidence, you never know 100%, so with every watch your still looking, thinking, trying to see if there was anything you missed that could lead you to the Zodiac. 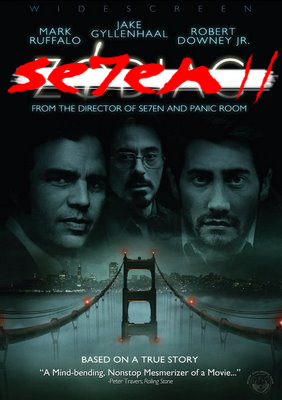 I really don’t have any deep problems with any of Fincher’s films, I just thought this made a good image….Expect maybe Se7en! It also features one of my favorite scenes in cinema, it happens in the last fifteen minutes of the film (I love it when the best part of the film is near the end, it’s something to look forward to during it), and it doesn’t feature a gun fight, it doesn’t move me to tears, it’s not shot in partially amazing fashion; it’s just two guys (Gyllenhaal’s cartoonist and Ruffalo’s detective respectively), sitting in a café, as Gyllenhaal lays out the entire case, the entire film in front of us. Every complex facet of evidence, every casual event, all the major characters, it’s all led to this, and it’s explained in a perfectly written scene, with an enthrallingly intense turn from Gyllenhaal, till it climaxes with this films closes thing to a big reveal. And god it’s satisfying. Never has the choice over salt or pepper been so intense. This scene also sums up why it’s my favorite serial killer film, and the tagline summaries it perfectly too. “There’s more than one way to lose your life to a killer”. It’s a film about obsession, and how it can eat you alive. Unlike films where you’re worried about the characters dying, there’s rarely a moment where you think someone’s going to be killed (outside the victims obviously), but as it unfolds and the characters (mainly Gyllenhaal) fall deeper and deeper and deeper, even when its all said and done, you can’t help but wonder. Can they live again? Now I know it’s not cool to care about Academy Awards, and I get it, overall they’re pretty cheap with whom and what they consider worthy (no love for Jake Gyllenhaal unless he’s macking on a cowboy it seems). 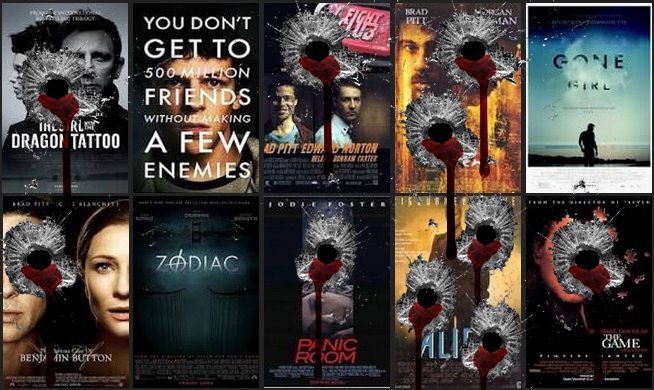 But at the same time, they do tend to choose pretty good films, and Zodiac easily should have been a major awards contender in 2008, for directing, writing, acting (Robert Downy Jr especially), cinematography (the usual Fincher staples), and the reason it wasn’t I completely put on the studio. They released it at the wrong time, and advertised it the wrong way. Selling it as a fun, messed-up, thrills per-minute serial killer film (Se7en cough, cough) and releasing it in spring; instead of in Oscar season (October-December) and as the investigative drama it is (All The President’s Men meets Citizen X), what the makers always intended it to be. But though I blame them for this, I can see why they did it. Coming off the big hit of the very enjoyable thriller Panic Room, and Fincher’s last serial killer film being a massive hit, I see why the studio treated it like they did. They wanted another Se7en, even though Fincher gave them something much more. It’s films like Zodiac that made me pretty happy when I heard Fincher’s series with HBO had fallen through, because despite how much I like House of Cards, and have heard that Utopia is a great show, I didn’t want Fincher’s spending all his time on a TV series when he could be making more films like this, or Gone Girl, or The Social Network. TV’s amazing right now (check out last weeks post on Breaking Bad, wink, wink), with a lot of hugely talented people creating epic feats of fiction, so we need to make sure Film stays great, and Fincher’s pretty good at that. How we (I) made (wrote) Projector.